Is The Tragically Hip with Gord Downie, Canada's band? News of Gord Downie's terminal brain cancer released a flood of memories this week, about him and his band, The Tragically Hip. We share your stories and reflections on one of Canada's most celebrated musical acts and their front man, Gord Downie. News of Gord Downie's terminal brain cancer released a flood of memories this week, about him and his band, The Tragically Hip. "The Hip" has won 14 Juno Awards, played countless sold-out shows across the country over the years and even have their own postage stamp — how many bands can claim that? 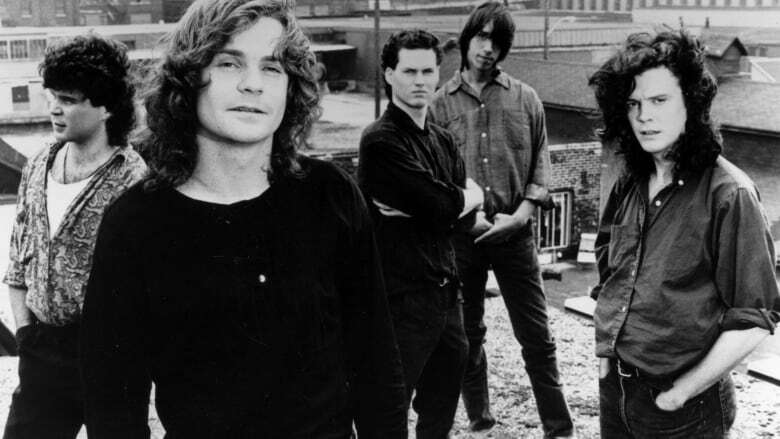 What is it about The Tragically Hip that makes them quintessentially Canadian? Is it the themes and imagery in many of the songs ... hockey, wheat fields, the hundredth meridian? Is it the reference to Canadian places like Bobcaygeon, Kingston, and Thompson, Manitoba? We share your stories and reflections on one of Canada's most celebrated musical acts and their front man, Gord Downie. Aaron Hartling is general manager of Black Buffalo Records in Halifax. Craig Norris is host of CBC Radio One's The Morning Edition in Kitchener-Waterloo, and In The Key of C, Ontario's music, arts and culture show. He's also lead singer for the band, The Kramdens. Randy Boyagoda is a writer and president of PEN Canada. What comes to mind when you think of The Tragically Hip?